"Leggenda di Natale" takes inspiration from "Le Père Noël et la petite fille" (1960) by Georges Brassens. While Brassens's song is more like a recitation of the pleasures and gifts a child receives at Christmas, De André's rendition is about the loss of innocence, or worse, the destruction or violation of innocence. you were of an age that wore not sorrows. in the enchanted forest of each of your ideas. and a St. Nick who spoke of love. but his eyes were cold and they were not nice. he wove a necklace of leather and emeralds. from head to toe he wanted to kiss you. the enchantment has vanished from every one of your ideas. the story of a faded flower at Christmastime. 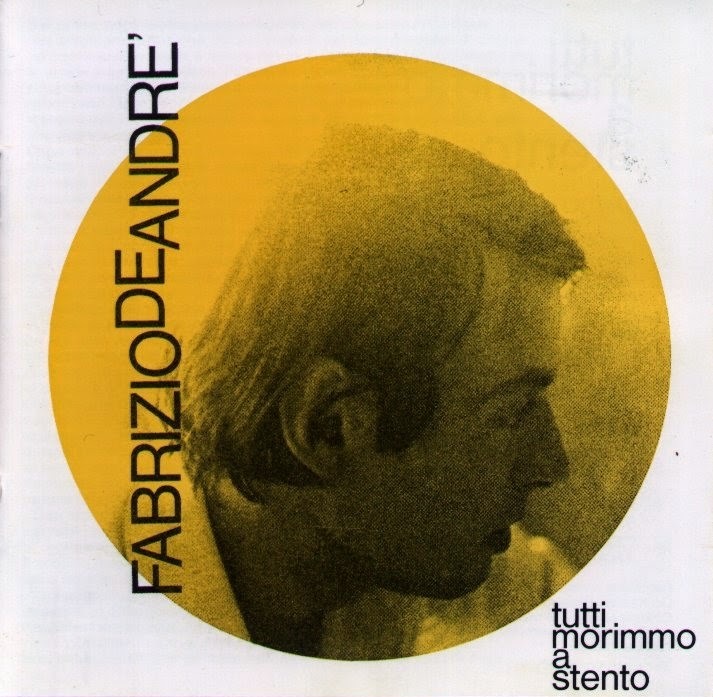 Tutti morimmo a stento, released in 1968, was one of the first concept albums in Italy. In De André's own words, the album "speaks of death, not of bubble gum death with little bones, but of psychological death, moral death, mental death, that a normal person can encounter during his lifetime." After the success of Volume I, De André was provided for this next album a cutting edge recording studio complete with an 80-member orchestra, directed by Gian Piero Reverberi, and a children's chorus. The whole project was under the direction of Gian Piero's brother Gian Franco Reverberi. This album also met with commercial success, becoming the highest selling album in Italy in 1968. 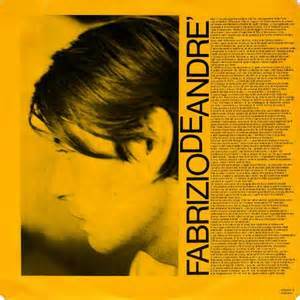 In 1969 a version of the album was made with De André re-recording the vocals in English. The album was not officially released.